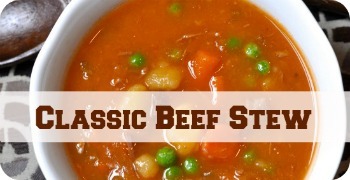 This is a classic Beef Stew Recipe with ketchup. The last ingredient is what makes it special. Having kids we know that ketchup is it’s own food group, but in this recipe it provides the right amount of a sweet and vinegar taste that makes it unique. My Mom has been making this for us for years from a recipe she clipped out of the newspaper. Follow the directions but don’t be afraid to go out on your own. I often will take a few cups of the stew as it is cooking and run it through my blender to liquify the potatoes and carrots to make the stew thicker. Also, at the very end about 10 minutes before we are going to eat, I add a bag of frozen peas to the mix. They will thaw by the time you eat and make a very nice addition of color. 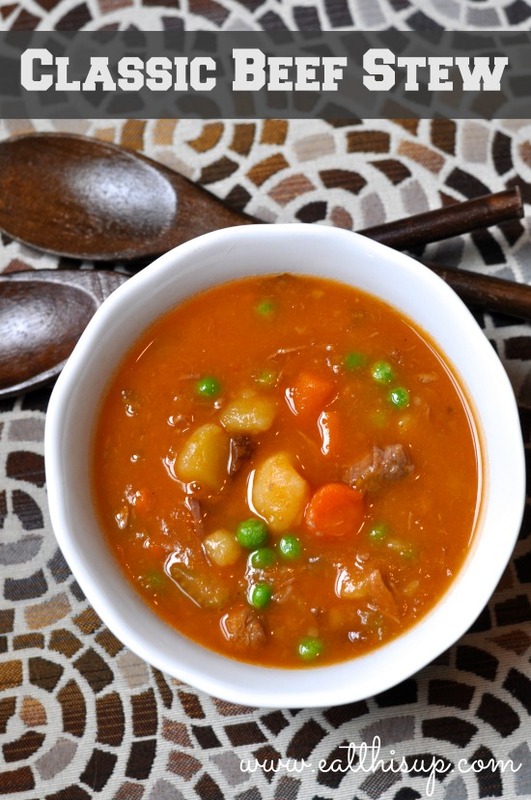 This stew is one that gets even better the longer it is in the fridge! 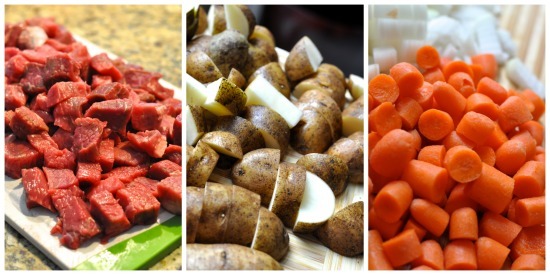 A classic American Beef Stew with a savory secret ingredient! * If you don’t like ketchup, don’t let this recipe scare you. It tastes nothing like what you are expecting. It is awesome! In a large pot on med high heat add 4 cups of vegetable stock (or water). Add carrots, celery, potatoes, garlic and onion. Bring to a boil then lower to a simmer. Coat meat with flour and brown in large pan with a little oil. Add to vegetable mixture. 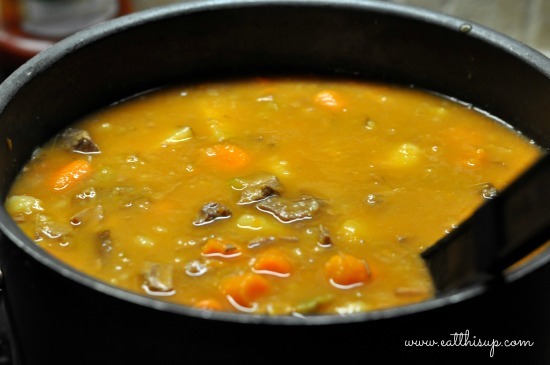 Cover with a lid and let this simmer for about an hour or until vegetables are tender. Add ketchup and simmer for another hour. About 10 minutes before serving add a bag of frozen peas. 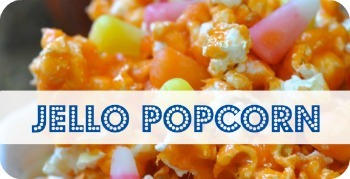 Looks yummy!This I will try.